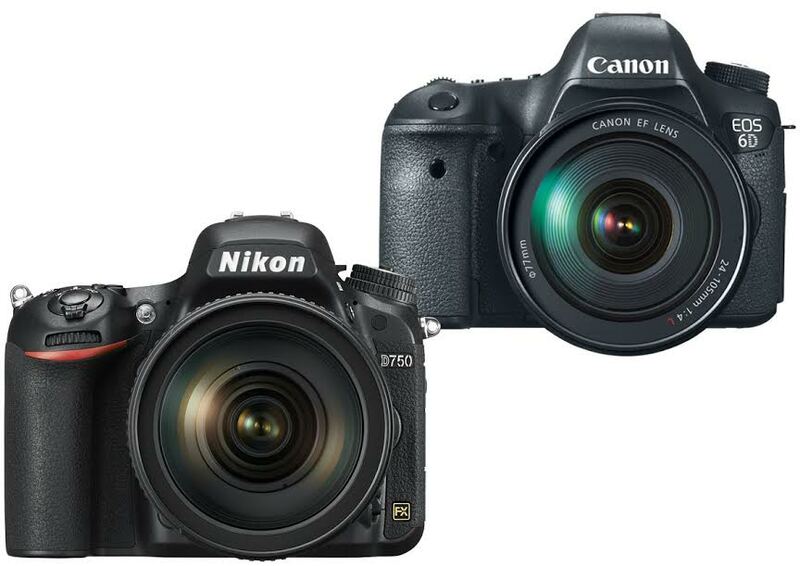 If you are looking for a nice semi-professional full-frame DSLR camera with built-in Wi-Fi, there is a good chance that you would end up confused in choosing between Nikon D750 and Canon 6D. The two are comparable DSLR cameras that are generally considered powerful enough and reliable to deliver great images. However, between the two, which is the one that you better choose? In the following article, we will see the differences and comparisons between Nikon D750 and Canon 6D. Afterward, we will see whether Nikon D750 or Canon 6D is more suitable for you. Besides coming with a tilting display screen, Nikon D750 also comes with a built-in flash. Canon 6D does not come with a built-in flash. The integrated flash can be a handy feature in low-light conditions, unless you prefer to use a dedicated flash. Nikon D750 also features two storage slots, greatly expanding the storage capability. There is a headphone port, too, for monitoring the audio when shooting a vid. Both models come with built-in Wi-Fi. However, the connectivity of Canon 6D is indeed more advanced, as it allows you to control the camera remotely via a smartphone. In addition, there is built-in GPS, too. Nikon D750 comes with a more powerful AF system than Canon 6D. It boasts 51 focus points and 15 cross-type focus points, as opposed to Canon 6D’s 11 focus points and 1 cross-type focus point. Hence, the AF on Nikon D750 can be faster and more accurate than Canon 6D. Nikon D750 features a 24 MP full-frame sensor, with the continuous shooting capability of 6.5 fps. In general, Nikon D750 has better color depth and dynamic range than Canon 6D. The battery life is also noticeably longer – The Nikon camera can shoot as many as 1230 shots per single charge, whilst the Canon camera can only shoot 1090 times before needing to recharge. If you need ultra-high ISO levels, however, Canon 6D can give you that. It boasts a maximum ISO level of 25,600. The high ISO can be very handy for shooting in low-light conditions. In general, Nikon D750 makes the best way to go. It offers a more powerful sensor and AF system. However, Canon 6D can be your choice if you, for some reason, need higher ISOs.